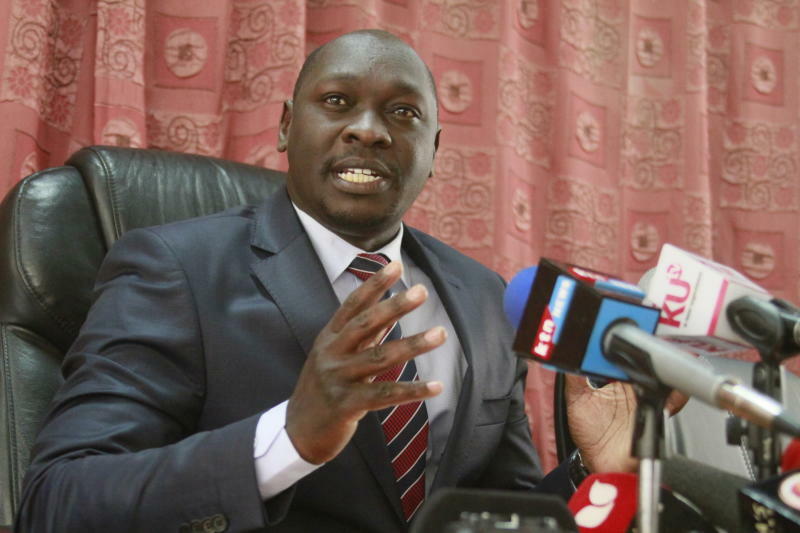 Saturday April 13, 2019-Cherangany MP, Joshua Kutuny, has asked Deputy President William Ruto and his allies to stop blackmailing President Uhuru Kenyatta. Ruto and his lieutenants have been lately questioning some of Uhuru's moves, especially his reunion with opposition boss Raila Odinga, accusing him of ignoring party issues. But speaking on Friday, Kutuny noted that the politicians should not be heaping all party issues on the President, and advised them to use the right channels and stop blaming Uhuru. He urged the leaders to raise their issues with the majority leaders and Whips in both the Senate and National Assembly. “We have a leader of majority and a Whip, both in the Senate and the National Assembly, through whom issues can be addressed," Kutuny stated. The outspoken MP is among the few Rift Valley politicians who have openly differed with the DP, a move considered quite risky in a region where Ruto is deemed the kingpin. He is among the MPs from Jubilee who have been bashing DP over premature 2022 campaigns. I wish this fella would just shut up. Every time he opens up, i puke...literally. Kutuny, you need to kneel down and repent.